Those little red notifications to signify the near constant need to update one app or another grow really tiresome. I could never see the point behind the manual update when it seemed so easy to make the app update itself. To make the pain worse, this is one of the only notifications that you can’t turn off, so those OCD suffers amongst us had to carry on suffering. Mercifully, this is now fixed in iOS 7. We just need to hope that this is done intelligently, so that 3G data doesn’t get rinsed through. A 3 am app update whilst hooked up to Wi-Fi at home is my best bet. 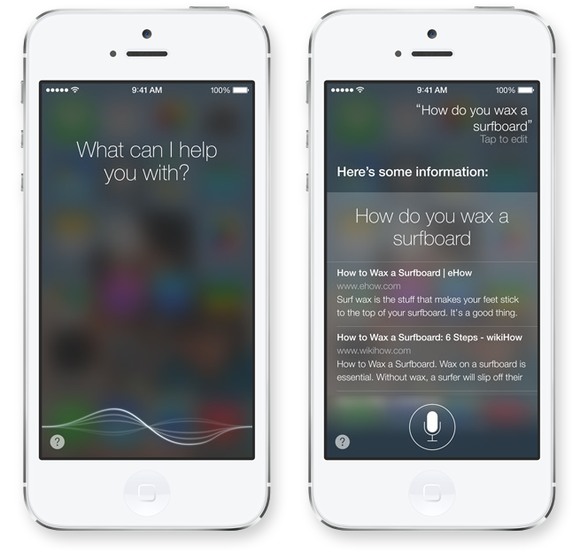 Siri was the big launch that tied in with the iPhone 4S and iOS 5, and at the time much was made of it. The general public’s reaction to Siri has not been dissimilar to their reaction to marmite – people either seem to love Siri or hate it. For me, Siri 1.0 seemed flawed. It was useful in certain instances, such as quickly calling somebody or setting an alarm, but when it came to searching it was a let-down. So often Siri couldn’t find the answer on Wolfram Alpha and when this was the case, you just get re-directed to a Safari search. This added little value. This time around, Apple have gotten into bed with Bing search to bring a much more streamlined approach to the whole searching and Siri problem. This carries a lot of promise in making Siri actually useful, even though I have reservations about their partnership with Bing. I don’t currently use Siri, and this could actually turn me in to a user so im willing to give it a solid shot. Sharing files on the iPhone has always felt a little more painful than it needs to be. You can email the files, but that’s time consuming and relies on navigating the iOS mail, which doesn’t set the World alight. You can use services like Dropbox, but the Dropbox app can be quite slow and doesn’t have the best natural navigation. Enter AirDrop, the service which Mac users will be highly familiar with. On iOS 7, it makes a very welcome debut on the iPhone and iPad. 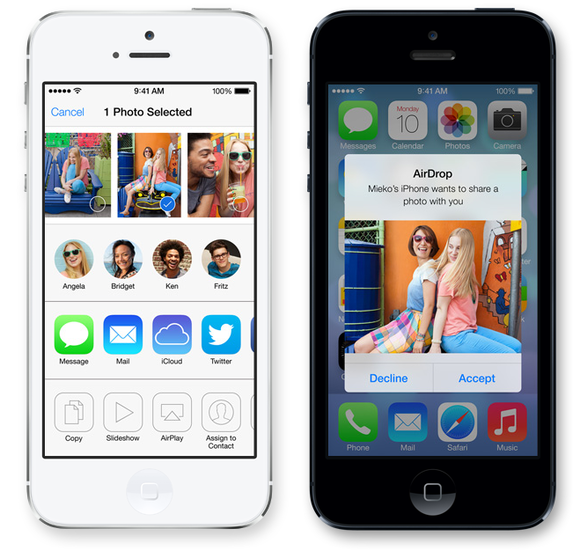 AirDrop uses Wi-Fi or Bluetooth to wirelessly share documents between fellow iPhone users. This overcomes the messages sharing limitations (only photo and video files) by introducing file sharing of passbook passes, map data, contacts as well as photos and videos. This taps in to the popularity of the iPhone, allowing you to share key documents quickly and painlessly with fellow Apple users. It took until iOS 4 for us to even get a multitasking option, in the format of the familiar bottom bar which is accessed by double tapping the home button on your iPhone. At the time it was a god-send, but over the past few iterations of iOS it has started to feel tired. For that reason, I was delighted that Apple has redesigned this element. Where the multitasking bar required a lot of tapping (two quick taps just to access it) and then swiping to find what you needed, the new update will go a long way to getting rid of a lot of this. 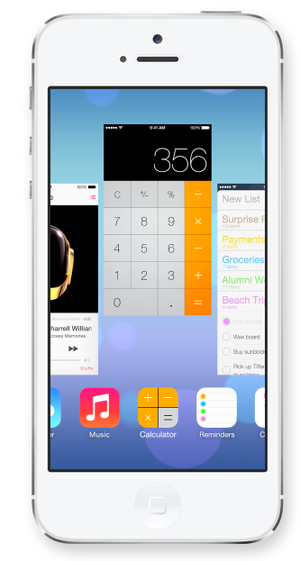 A more modern, streamlined and up to date solution was showcased at WWDC when Apple announced the new OS. The replacement will be a miniaturised screen which shows all of your apps, allowing you to swipe your way through in order to quickly find what you need without the accidental taps. The interface is more intuitive and uses clever visuals to ensure that you know which app is currently selected. Apple have rethought the process around closing an app too. The old process of holding the app until it started shaking, and then hitting the cross in the top corner is re-worked. In response to stated confusion around whether doing this actually deleted the app or the service (some people reportedly thought that deleting the Facebook app meant they had deleted their Facebook), Apple have looked to reengineer this. In its replacement is a simpler and more natural process. A simple upwards drag takes the app off the carrousel, closing it down effectively and obviously without the fear factor around deletion. Accessing the settings has always been a slight bug bear on the iPhone, especially compared to some of the nicer more modern methods used by rival Android smartphones. 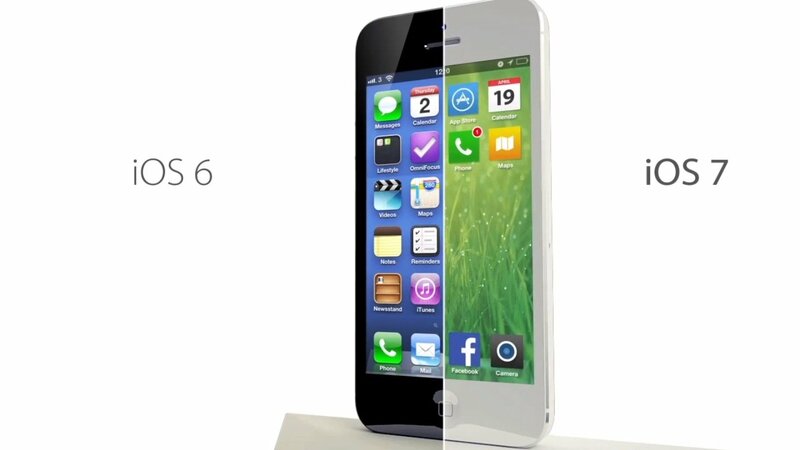 Apple have taken this to hand with iOS 7 though. We talked recently about ways to save the battery life on your smartphone, and this included a number of tricks that you need to access your settings to activate. I’m a stickler for manually playing with my brightness settings and for turning off useless services like Bluetooth to save on the battery life. Apple has eradicated the need to dive through multiple layers of settings with IOS 7, presenting instead the nice streamlined process shown in the image above. iOS 7 sees the introduction of Control Centre. Control centre will let you quickly and easily manage these settings, including airplane mode, Bluetooth, Wi-FI and screen rotation. All get a nice simple ‘on/off’ button instead of the old palaver. No need to think about Jailbreaking your phone to get these services and now you have much more granular control over their execution. What’s more, these are now going to be accessible from your phones lock screen. 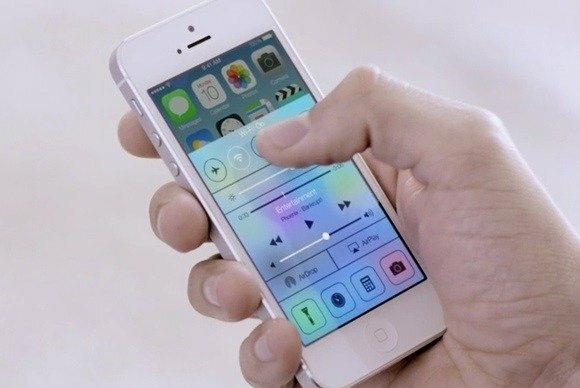 All of this is a huge step in the right direction with the IOS OS.